The expert professionals at Atlantic Used Truck and Salvage know what it takes to locate prime condition used auto parts for your truck or car. We have been a New England top supplier of recycled auto parts within the auto insurance, auto collision, and auto repair industries over 40 years. Our auto yard is located in Lowell, Massachusetts, we offer parts to both industry professionals and the everyday consumer wishing to make low-cost repairs in their home garage. Our auto salvage yard provides parts for both surrounding areas and nationwide with several shipping options. Our highly qualified team takes great care to save you valuable time, money and stress when trying to track down needed components with close attention to all details. We highly value you as a customer and are there to assist you with exactly the right part for your make and model. We also offer an online auto part finder by make, model, and vin which can make searching for your salvage auto parts super simple and amazingly quick. If for any reason you do not see a part listed, our inventory changes daily, or we can locate the part for you, just give our dedicated team members a call and we go to work finding it. 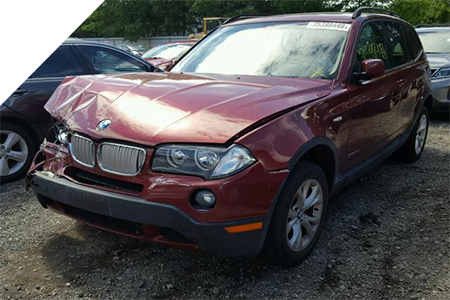 At Atlantic Trucks and Salvage, our primary focus is 2000 – 2015 models for all popular foreign and American manufacture cars, pickup trucks, and SUV’s. All OEM recycled auto parts are top-condition body, engine, transmission, or interior components backed by a 90-day warranty. Our goal is to provide you with the best resource to locate parts that get your auto back on the road fast and providing you with outstanding customer service. We look forward to building a great relationship with you as your #1 used auto parts supplier.